Dr. Sang-Bing Tsai is currently the Professor and the Lecture Professor at University of Electronic Science and Technology of China Zhongshan Institute & Civil Aviation University of China. 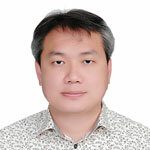 He is both Technology Management and Business Management PhD. He has published many research articles in SCI / SSCI journals, including International Journal of Production Research, International Journal of Web Services Research, Advances in Mechanical Engineering, IEEE Transactions on Systems Man Cybernetics-Systems, Plos One, Environment and Planning B-Planning & Design, Sustainability, Renewable & Sustainable Energy Reviews,...etc. His recent research interests in Operation Management, Computer Science, Service Management, Sustainable Energy, Big Data, Sustainability and Applied Mathematics.